- Publisher Derek Matthews illustrates these parables with pictures that will captivate younger children. Each picture has a hidden item to find and keep your child's attention. 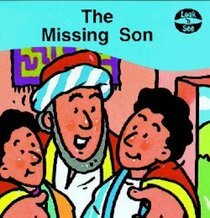 About "Missing Son (Look 'n' See Series)"
Derek Matthews illustrates these parables with pictures that will captivate younger children. Each picture has a hidden item to find and keep your child's attention.